MailChimp today announced an integration with Viewbix, a company that adds dynamic interactive apps to videos to create a rich and actionable viewing experience. The integration allows Viewbix users to seamlessly and effortlessly leverage the power of MailChimp to increase subscription for relevant, targeted email campaigns. The MailChimp integration with Viewbix is a compelling combination for business owners, facilitating growth by allowing them to leverage their viewers engagement and maximize their reach by showcasing previous newsletters and email campaigns and allowing for sign up from directly within the video. Businesses are taking advantage of the significant power of video to attract and engage new and existing customers.The MailChimp app will allow viewers to peruse selected newsletters as well as to subscribe to future campaigns, all within the video unit. The MailChimp interactive app is available free to all Viewbix users who have a MailChimp account, and can be added to any Viewbix video in less than two minutes. MailChimp supports more than 1.3 million subscribers worldwide, sending 2.5 billion emails per month. MailChimp is designed for the do-it-yourself power user — someone looking for all of the power of the enterprise application, but built for anyone to use. MailChimp integrates with many third party applications including Facebook, Twitter, Eventbrite, Salesforce, WordPress, Magento, Joomla, Drupal and Google Analytics. And best of all, prices start at free. Viewbix provides a powerful solution for adding dynamic, interactive content to video that engages viewers and drives interaction. Viewbix supports dozens of apps to create a rich viewing experience that can be shared across the web, mobile and social platforms. Based on a freemium model, the Viewbix base product is free, with a small monthly fee for advanced features such as branded players, premium apps, and detailed analytics. This entry was posted in Which Open Source Blog and tagged Announces, Email, MailChimp, Player, Signup, Video on May 31, 2012 by Administrator. Create your own web site without any effort! You are extremely welcome to value our web templates which can perfectly match your expectations and meet various requirements. On each page you may find the most suitable and eye-catching content. And it is not the end, but just the start to implement your own ideas regarding content, because this wordpress theme deliver such rate of flexibility that enables you to modify without any problem due to just one click the whole design of the potential web page. Do not waste your brilliant time to technical issues as you are absolutely not requested to deep into the tangled web development world, you only need to be interested in what you do and to wake up your fantasy. Change via simple operation the color spectrum of your future web page. Texts, pictures, scripts, keys, icons and other elements can vary upon your desire. Friendly documentation with full list(with explanations) of shortcodes which is delivered along with the template will provide you with necessary information and simple steps that are to be taken to manage it. This entry was posted in Which Open Source Blog on May 31, 2012 by Administrator. contact and register forms that are ready to use. Post a link to your completed site built using Excite and the best ones will be featured here in our Showcase. For now we have examples of some of the different skins and options that are possible. Why not check out one of our 3 Under Construction templates to get your project underway. Visit our portfolio. NB: If you are not rating this item with 5 stars, please tell us why. We want to do all we can to let you enjoy this item and get the most from it. Remember our support is FREE . contact us via the form on our ThemeForest profile if you need additional help. Images by DavidShutter, mescon, kirainet, Mark Sebastian, Andrew Stawarz, anieto2k, christian.senger, www.stern-fan.de, NASA , MagnusL3D, Ben-Jackson-Photography and (matt). Icons by Yummygum. Online business expert James Schramko announces the re-opening of SuperFastWebsites a division of SuperFastBusiness that offers a fast and easy way to get a WordPress website up at the most affordable rates. Schramkos personal team of web developers has taken over all projects previously handled by third party contractors. To start off, the new team has rebuilt the SuperFastWebsites home page, which now features a more streamlined design and ordering process. SuperFastWebsites.com is up and ready to accept new customer orders. Schramko says Everything you need to quickly establish an internet presence is right here at SuperFastWebsites.com. We only need a minimum possible input from you to get your own website up and running on your domain. You have complete control no expensive maintenance fees and no tied-in hosting agreements. All pre-done themes are now uniformly priced at $ 199 US. Customers are presented with a generous selection of professional pre-done themes ready to be installed on customer-specified domains. Visit http://www.superfastwebsites.com/ to preview all available themes. The experienced team behind SuperFastWebsites has built over one thousand WordPress websites in the last six months alone and the company itself has been in business for the past six years. Schramkos own private portfolio of websites is built and regularly maintained by them. According to Schramko, the new team also has a solid understanding of search engine optimization and specializes in building websites easily indexed by Google. The team will make necessary recommendations if needed. Orders are usually completed within two days or less. For additional information and a complete preview of all available themes visit http://www.superfastwebsites.com/. Resellers are welcome to use the newly developed non-branded display site http://www.ViewWebsiteExamples.com to show prospective customer the working themes. A division of James Schramko’s SuperFastBusiness specializing in the development of affordable WordPress websites. With thousands of websites under its belt, the SuperFastWebsites team offers a variety of pre-made designs and seamless social media integration. Schramko started SuperfastBusiness in 2005. James has since become one of the most sought-after Internet Marketing Experts in the world. 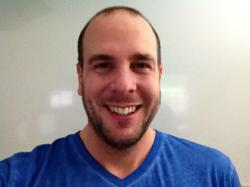 Author of the tremendously successful Traffic Grab as well as founder of leading SEO company, SEOpartner.com, James provides search engine optimization services to hundreds of clients around the world. LinkJuice.com is yet another welcome SEO innovation for competitive businesses. This entry was posted in Which Open Source Blog and tagged Affordable, Announces, Even, More, SuperFastWebsites, Websites on May 31, 2012 by Administrator. 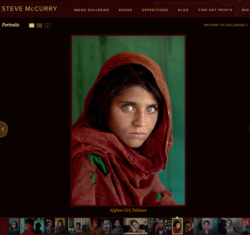 Steve McCurry has teamed with interactive studio Bluecadet to launch a new website that reflects the beauty and breadth of his work. The galleries showcase over 2,000 of his images, more than most portfolio sites are able to maintain, while the biography, blog, and expedition sections keep his fans excited about his travels and adventures. About the site: McCurrys images span 57 different countries, and the portfolio showcases 2,000 photographs in 55 easy-to-browse galleries. The site features gallery navigation that lets viewers explore in many different ways, including a grid view where users can filter images by place or theme. The site is more than just images in navigable gallery views. There is a prominent biography of McCurry, including in-depth looks behind the scenes of some of his most famous images. Theres a new blog space to coalesce his heavily-followed WordPress blog into the main site, and a space to feature his famous Photo Expeditions. Bluecadet is an interactive studio that creates engaging experiences with multimedia. They design and build dynamic websites, installations, and mobile applications for museums, non-profits, and universities. Since 2007, they have been using new media to create award-winning interactive experiences that capture audiences and imaginations. Located in Philadelphias Northern Liberties, they are storytellers for a digital age. This entry was posted in Which Open Source Blog and tagged Famed, Images, Launches, McCurry, Online, Photographer, Presence, Showcases, Steve, Thousands on May 31, 2012 by Administrator. The Colorado based SEO and website design firm, partnered with Escapia to allow vacation rental property data stored at Escapia to be integrated and displayed on the Vacation Company website. This development gives the website guest a seamless visit to search for a property, discover information, and view photos; all the way through the booking process. The website was designed using WordPress, a popular content management platform that is naturally search engine friendly and easy to update. January 2012 has been the best revenue month ever, by far! 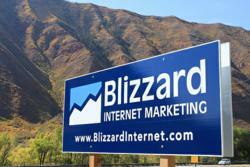 I attribute this success to the marketing work Blizzard has done over time including the BRE integration, recently commented by Bob Hawkins, owner of the Vacation Company. Its really easy to make changes and updates in the BRE said Carmen DeCecco, Vacation Companys Marketing Specialist. This entry was posted in Which Open Source Blog and tagged Blizzard, Engine, Escapia, Expands, Reach, Reservation on May 31, 2012 by Administrator. Fusion v1.0 is a responsive premium HTML /CSS Site Template built on Skeleton’s base grid system, it has numerous features, 5 color variations, 2 slider variations, an integrated Google custom search engine, filterable portfolio, 20 pattern backgronds, and more that 17 premium backgrounds. It’s very modern design which is perfect for any busniess. LayerSlider – The Parallax Effect Slider (extended licence). UnoSlider – Responsive Touch Enabled Slider (extended licence). Skeleton’s base grid – a variation of the 960 grid system. Google Webfonts (Arvo) Refer to the author’s documentation for additional notes on how to use it. Google API loader (jquery 1.5.2, jqueryui 1.8.15) Refer to the author’s documentation for additional notes on how to use it. Superfish v1.4.8 Refer to the author’s documentation for additional notes on how to use it. hoverIntent Refer to the author’s documentation for additional notes on how to use it. Color animation jQuery-plugin Refer to the author’s documentation for additional notes on how to use it. carouFredSel 5.5.0 Refer to the author’s documentation for additional notes on how to use it. Google Map v3.0 Refer to the author’s documentation for additional notes on how to use it. prettyPhoto 3.1.3 Refer to the author’s documentation for additional notes on how to use it. jQuery Easing v1.3 Refer to the author’s documentation for additional notes on how to use it. tweet seaofclouds Refer to the author’s documentation for additional notes on how to use it. LayerSlider – The Parallax Effect Slider (extended licence) Refer to the author’s documentation for additional notes on how to use it. UnoSlider – Responsive Touch Enabled Slider (extended licence) Refer to the author’s documentation for additional notes on how to use it. HoverAlls v1.3 (extended licence) Refer to the author’s documentation for additional notes on how to use it. People Connected Symbols – logo vector is not included and can be purchased from http://graphicriver.net/item/people-connected-symbols/140165. Photos/images are not included and can be purchased from www.shutterstock.com (96061475, 86123695, 59331205), and from www.photodune.net (196205, 367178, 399324, 604970, 676119, 1243719). Background images – Spectacular Premium Web Backgrounds extended licence. A beautiful and fun theme for any creative agency, startup or freelancing business. In the internet marketing space, the importance of a brand ownership and reliable web hosting service cannot be stressed enough. As the saying goes, time is money, and each minute a business website is down could cost its owner a fortune. Online business expert James Schramko is very cautious when it comes to selecting a domain name supplier. For his own business domains, Schramko uses Namecheap. He lets readers know why in his Namecheap review now up on BuyWithBonus. Select an available domain name and register it with Namecheap. Web hosting plans start at as low as $ 2.95 per month. Everything needed to get a website up and running is available at Namecheap. This is of utmost importance on the web. Any vital piece of information should be kept hidden away from anyone who may use this information to their advantage. From simple blogs to complex shopping carts, Namecheap is equipped to handle everything. Each package includes access to the cPanel an advanced and easy to use control panel for their website. Also included are pre-installed scripts for WordPress, Joomla, Drupal, phpBB, Magneto to facilitate installation. Web developers and designers usually sign up for Reseller Hosting and sell to clients at their own pricing. James Schramko’s catalog of preferred and trusted internet marketing tools and products. With literally thousands of tools from various developers to choose from on the World Wide Web, the products on BuyWithBonus represent the bulk of tools tested and used regularly by the SuperFastBusiness team. This entry was posted in Which Open Source Blog and tagged Bargain, BuyWithBonus.com, Domain, James, Name, Namecheap, Quality, Review, Schramkos, Service on May 31, 2012 by Administrator.